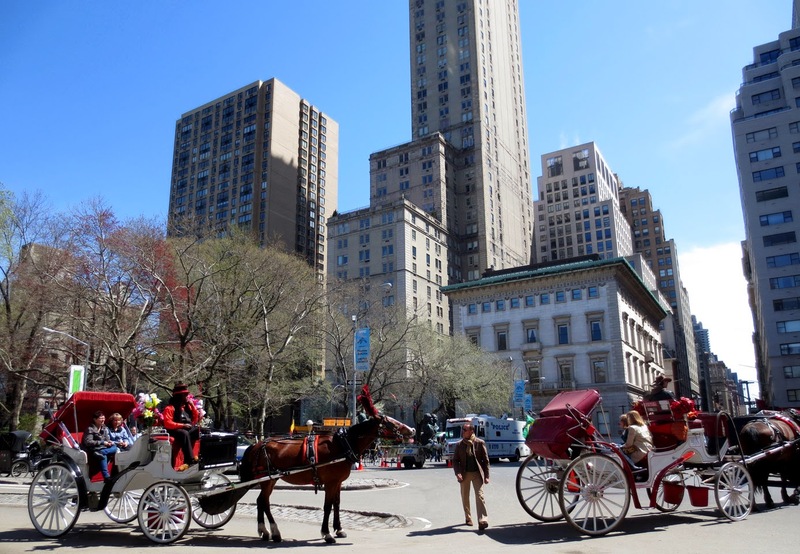 Big Apple Secrets: A horse-drawn carriage, Bloomberg and de Blasio. 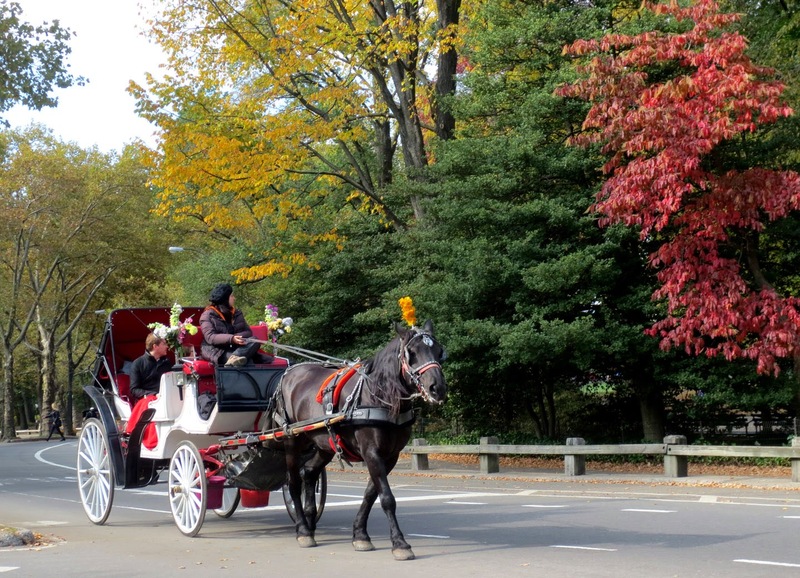 A ride through Central Park in a horse-drawn carriage is one of New York City’s most iconic attractions, immortalized in books, movies, TV, and Broadway plays. Horse-drawn carriages may be a thing of the past when the new mayor takes control. The horses that power the industry may be sent to slaughter. When Olmsted designed Central Park in 1858 he created curving drives to offer beautiful vistas while driving. 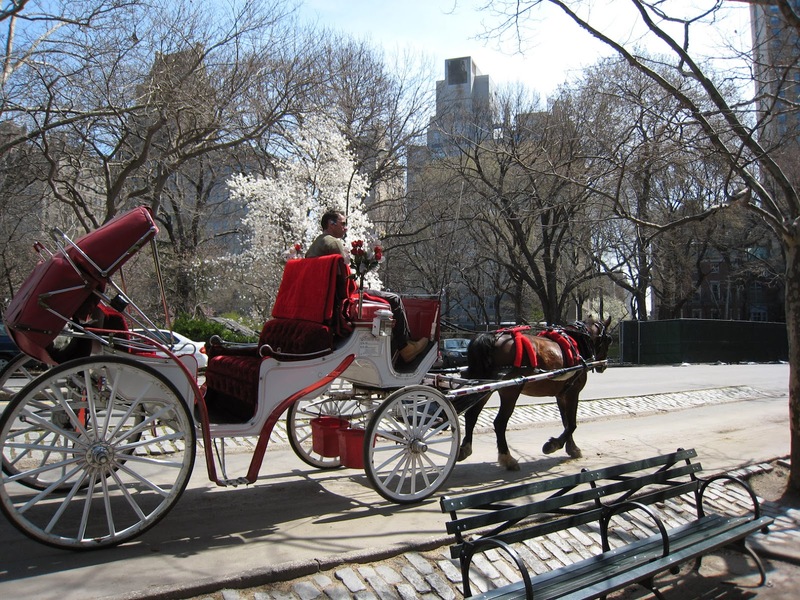 In 1863, the first exclusively tourism-based carriage rides were offered for a fare of 25 cents a passenger. The Central Park stage line operated at that rate for the rest of the 19th century. During the pre-World War II period there were only fifteen carriages on the park. In the late 1940s or early 50s New York City sold 68 medallions to a few stable owners for a fee of $100 to $200. 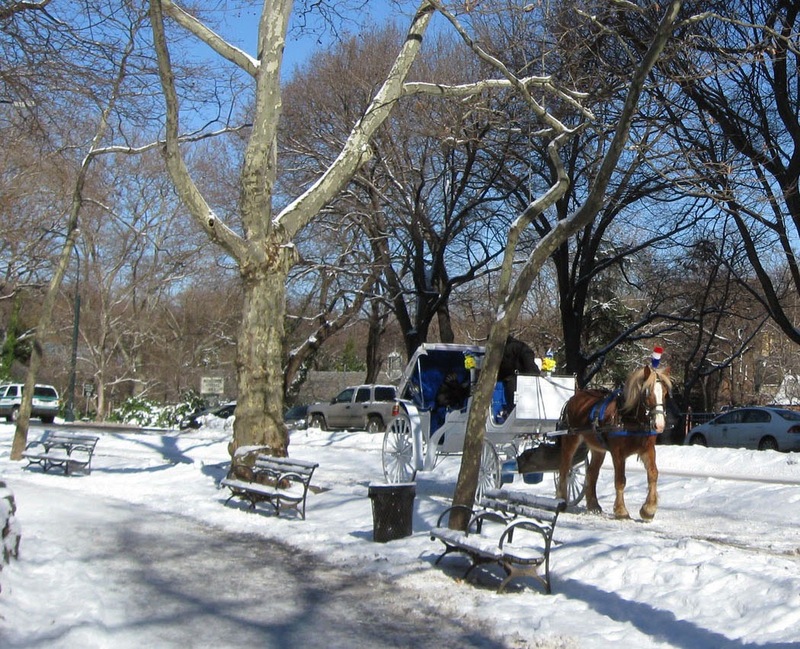 More than half of NYC’s carriage horses are in Clinton Park Stables ( 618 W. 52nd St.) , opened in 2003. The stable was originally built in the early 20th century to house the freight horses for a cardboard company. The second-largest carriage stable in New York is West Side Livery, in a Hell’s Kitchen. The two most popular rides through Central Park are the "standard ride" , 20 minutes long down one of the Park's original carriageways with a price $50, and the "long ride" , 40 minutes and $90. Three weeks before the city's November 5 mayoral election, the top candidates both support ending the practice and say they are open to alternatives, like replacing the horses with 8-seat electric cars. 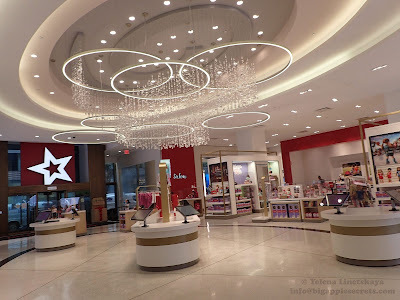 "We are in the biggest, densest urban area in North America. It is not a place for horses. They are not meant to be in traffic jams," Bill de Blasio said said at a press conference with New York Class, an animal rights group. Activist groups leading the charge against horse carriages say the animals will be fine, but experts have a different opinion. It costs at least $200 a month to care for one retired horse, experts say, so the tab for sending 200 horses to live out their days would start at $480,000 a year. Based on the average age of the horses clip clopping through Central Park, and their life expectancy, the total cost could climb past $8 million over their lifetimes. It is very possible that the animals could be destroyed due to the expensive maintenance and the effort to "rescue" the horses could lead to their slaughter instead. Mayor Michael Bloomberg resigns in December, after 12 years shaping everything in the Big Apple. 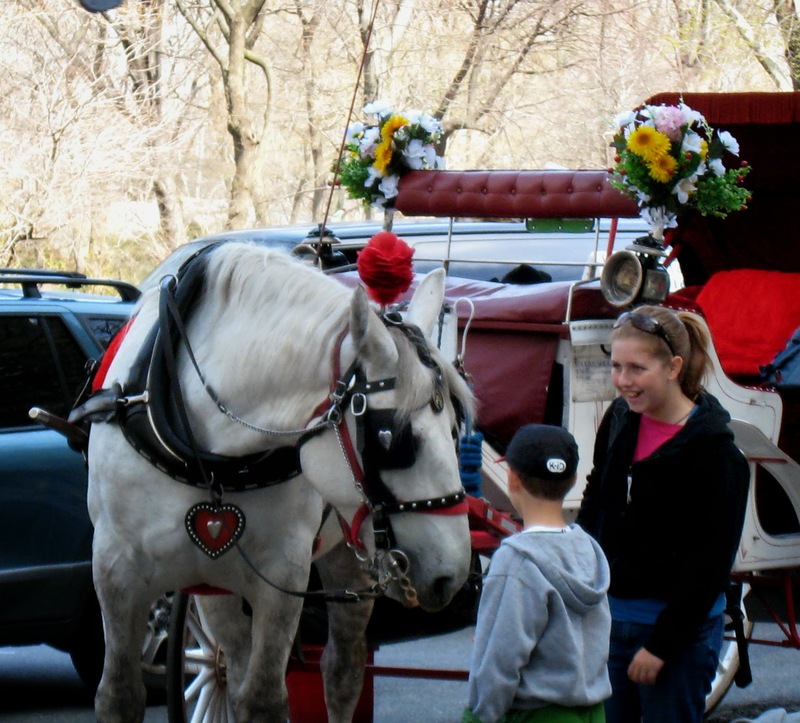 And the days the days of carriage horse rides through Central Park are numbered. So if you plan take a romantic carriage ride around beautiful Central Park as Woody Allen and Mariel Hemingway did ( "Manhattan") or like to hide in a horse drawn carriage like Kevin (“Home Alone 2”)- do not wait. Hurry- it could be too late! This is the biggest problem facing the city?? Really? I agree with you, it’s not the biggest problem facing New York. However, from my point of view, if the horses in the Central Park will be replaced with cars one small part of New York’s charm will be lost. 1- As I see it, DiBlasio is the mayor, not the Dictator. I've lived in many cities and I would think that wiping away an entire industry would be something only the voters or the city council could do. Does thismman really have that kind of power? Well he shouldn't. 2- I have to ask myself- "Why would the mayor of the city want to do away with a century old industry, owned and operated by small business men, employing over 400 people and bringing in $15,000 in taxable income a year, especially in this economy?" Don't tell me it's because the horses are abused, even I know that's not true. I have owned horses my entire life and trust me, you can look at a horse and tell if it's been abused just by it's body language if you know and understand them. There is no hiding that no matter how well you clean and dress them up. I've never seen an abused NYC carriage horse. I'm thinking it must have something do do with political favors for political donations, AKA, Bribes. Its the only scenario that makes any sense. 3- What I have seen is a very small but vocal and obnoxious group of protestors at the carriage stands. In my opinion Mr. Di Blasio needs to ban THEM.They are a disruption to a legal business and a blight on Central Park. They harrass the drivers, scare the horses and they make the tourist uncomfortable. They are also insulting if you don't listen to them. It really doens't make a good impression on visitors. So, what I'm seeing here is a very small well funded special interest group and a Mayor with puppet strings. I think it's time for every New Yorker to stop and think, "Do I REALLY want to see the carriages disappear?" If they do, they will be gone forever. If the answer is "NO", then let your voice be heard, before it's stifled forever. WOW, for just an occasional visitor to NYC, the original poster sure knows the carriage lobby's song and dance to a "T," right down to claiming the current system of 68 medallioned carriages is a "century old business" when it is NOT. The medallions as the article says were sold for $100-$200 apiece in the 1940s. Recently one sold for almost $200,000-- hardly a figure most "Mom and Pop" enterpises can afford. Interesting that the mayor appears to think spending $480,000 per year to care for the animals that he does not want in the city is too expensive, but thinks nothing of losing the 15 Million that those same animals bring to the city in the way of supporting local businesses. If killing these animals is the only option, then humane care of animals was never the motivation in the first place. To add insult to injury, these so-called Animal Rights special interest group have made it illegal to slaughter horses in the United States so they will be trucked off to Mexico where it is legal but doesn't have the humane laws we have here. The Animal Rights groups really don't care about the animals, they say "they're better off dead" than in service to humans. They don't even want humans to eat their flesh or use their hides or hooves…they prefer to waste these horses and will then point their fingers at us and say how Bad we are, using photos for more marketing. In my opinion these Animal Rights groups are brainwashing our population and government with lies and deceitful propaganda, pretending they are something that they are not. People donate to them thinking that the money goes to helping animals when in actuality it is spent on lobbyists, propaganda and making these zealots rich. Boy oh boy you are right on the mark. Thanks Gibscot for helping to make clear the link between the carriage industry in general and those who support horse slaughter. In your case, I would like to say a mind is a terrible thing to waste, but then you pretty much demonstrated with your little tirade that you don't have much of one. Those horse are so well taken care and spoiled. I was in NYC a few weeks back and wished I had a video camera to capture what I saw. The Animal Rights Activist swear up and down that the noise and sirens from fire trucks and police cars cause the animals to bolt. Well I stood there as 12 police / fire / emergency vehicles with sirens blaring went down the street; and the horses all stood there quite and many eating their grain and never even looked at the vehicles. That is just one sign of a happy, healthy, calm horse that loves their work and their drivers. Keep the Horses in NYC! It's their home and they love it there. One quote from that site really bothers me a lot: “Horses are social animals who are meant to live with other animals, graze in green fields; and run free”. Horses were domesticated thousands of years ago! Most of them haven’t been running around in the wild for ages. Yes, it’s important to give good care to horses like to any other animals. The owners of the park’s horses take good care of their horses; after all their living depends on the horses’ health. It costs a lot more than $200 a month to care for a horse, especially a 2,000 pound draft horse. As a lifelong horse owner, I can tell you that the $200 a month might cover the feed costs for an average-sized horse. It doesn't include the costs of hoof trimming -- always more expensive in draft horses because their sheer size hurts a farrier's back -- regular deworming and vaccinations. That doesn't include any veterinary care for illness or injury. It also doesn't include salaries for caretakers -- good luck getting volunteers caring for 220 horses 365 days a year -- fence repair, etc. MINIMUM, it's 3k per year per horse with no special veterinary or farrier needs. That's 660k, not 480k. My own horses cost me 5k per year each for the basics and they aren't at a fancy barn. 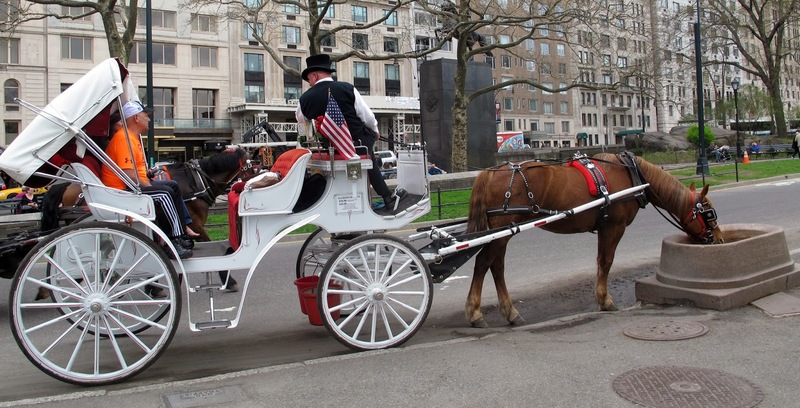 To ban the horse drawn carriages is a grave mistake. I do agree that the protestors should be banned. They are obnoxious, very anti tourist, have called tourists names, etc. If I were the new mayor coming in..I would be more concerned at how people are viewing my city and possible tourism dollars lost, because of the name calling that the obnoxious protestors do. The carriages and the horses are charming, well kept animals and carriages...and bring a simple beauty to the city. To ban this lovely tradition would be so very very wrong. Thankfully the large carriages are easily seen in their traffic lanes as they glide along. With the best road safety record, this iconic business should surely remain - to the delight of most of us. Six or seven dead horses on the streets and several more injured within the past 15 years is hardly what I would call a "best road safety record."